Howard Industries' Switch-Pad™ is an oil filled, pad-mounted device intended for fusing, sectionalizing and tapping applications on medium voltage underground electrical distribution systems. Switch-Pad™ can be provided in a number of different configurations including one-, two-, or three-pole designs and is available with numerous switching and fusing options. 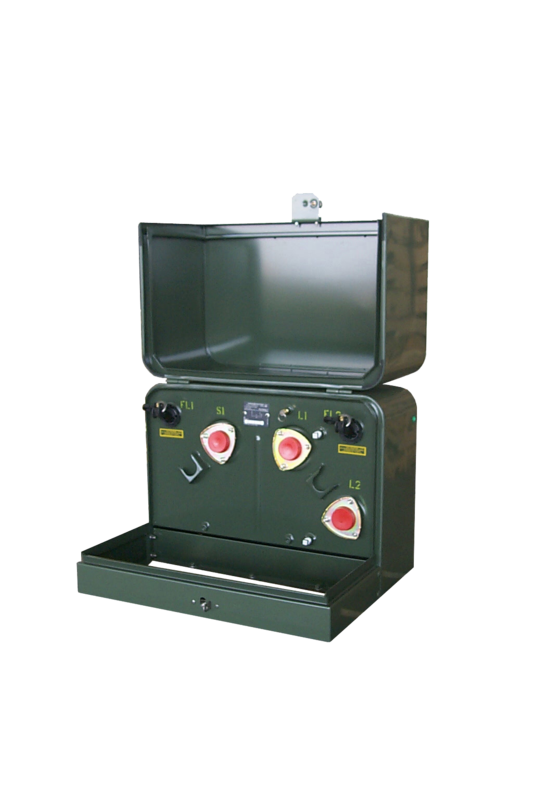 Housed in the same oil-filled enclosure used for single-phase pad-mounted transformers, Switch-Pad™ will blend in well with other pad-mounted equipment in any underground residential or commercial system.